Eindhoven, the Netherlands – Royal Philips Electronics (NYSE: PHG, AEX: PHI) is proud to announce that it has received 10 prestigious “GOOD DESIGN 2011” awards. This brings the year total of top design awards for Philips to 99. “We are very pleased with this result. Compared to last year, the number of awards that Philips has received for outstanding design has almost doubled. This is an exceptional result which confirms our leadership in designing people-centric solutions that help to improve people’s lives,” says Sean Carney, Chief Design Officer Philips. The multi award winning Philips Fidelio Docking Speaker’s architecture enhances sound performance and radiates sound quality. To ensure an excellent level of clarity, the sound design is based on true stereo architecture with isolated acoustic chambers. The complete music system Fidelio SoundSphere Docking Speaker is designed to deliver outstanding musical fidelity from your iPhone, iPod and iPad. The docking speaker gives you total freedom to browse your music content from any location in your home whilst your music is streamed wirelessly. 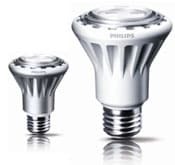 The color consistency and capability to dim transforms the Philips EnduraLED1 lamp into a full replacement of incandescent lamps on any electrical system. Designed to last at least 20 years. Undergoing an MRI scan is sometimes disconcerting, and can induce claustrophobia anxiety. Philips had addressed this concern with its latest large-aperture scanner, Philips Ingenia 1.5T & 3.0T which has a larger table top for increased patient comfort and an invitingly wide tunnel designed to communicate friendliness and human qualities. Philips Lifeline AutoAlert help is a unique fall detection sensor which accurately detects when the wearer has fallen then calls for help automatically - even if the wearer is unable to press the button. The AutoAlert is comfortable and inconspicuous, robust, fully waterproof and can be worn whilst bathing so it can be worn 24 hours a day. Philips FreeStreet street lighting system offers a progressive and exciting solution which will also help to clear some of the clutter from our increasingly busy urban landscapes. The system eliminates tradition streetlight poles, instead connecting a string of LEDs along narrow cables which are virtually invisible during the day. The result is lights which appear to float in mid-air. The online Annual Report 2010 is one of the few annual reports to present all its content online. 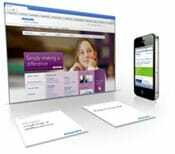 The website offers interactive charts, videos of the board members and great stories on how Philips made a difference in people’s lives. The report can be customized and downloaded in PDF format. The mobile version of the website offers the financial highlights and the videos of the board members. View the annual report here. 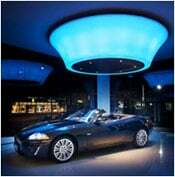 The Jaguar Land Rover Showroom (designed by Philips Design for Jaguar Land Rover Singapore) shows how design can articulate the brand in a physical manner. The functional requirements of space aligned with an emotional connection with people resulted in a clubhouse idea of comfortable luxury. Generous sofa areas combined with open space create an approachable atmosphere, enhanced by the clever use of Philips Ambient Experience lighting. Jump is the first high performance, direct luminaire of Philips Ledalite that offers fluorescent and LED sources with luminous design elements, patented optics, and integrated, state-of-the-art technologies. Optical performance, unparalleled flexibility and advanced controls integration, take sustainable architecture, energy savings and lighting design to new heights. 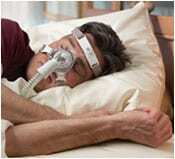 Philips TrueBlue brings Philips’ best technologies together in one mask. Designed to push the limits of performance and fit, this mask sets the gold standard for a good night’s sleep. In this year&apos;s edition, selected products and graphics for GOOD DESIGN are announced to the international press in December 2011. The Awarded products and graphics are accessioned into the Museum&apos;s Permanent Design Collection. Founded in Chicago in 1950 by the former MoMA curator Edgar Kaufmann, Jr., together with such pioneers in modern design as Charles and Ray Eames, Russel Wright, George Nelson, and Eero Saarinen, GOOD DESIGN honors the yearly achievements of the best industrial and graphic designers and world manufactures for their pursuit of extraordinary design excellence.The Chicago Athenaeum continues the organization of the program to create a revived awareness about contemporary design and to honor both products and industry leaders in design and manufacturing that have chartered new directions and pushed the envelope for competitive products in the world marketplace. Annually, designers and manufactures in over 30 nations have been honored for their singular achievements in producing hallmarks of contemporary design. All winning entries become property of the Permanent Design Collection at The Chicago Athenaeum: Museum of Architecture and Design. Projects selected for exhibition will require the physical use of the product or model for exhibition purposes. Philips Design’s creative force of some 400 professionals, representing more than 35 different nationalities, embraces disciplines as diverse as psychology, cultural sociology, anthropology and trend research in addition to the more 'conventional' design-related skills. The mission of these professionals is to create solutions that satisfy people's needs, empower them and make them happier, all of this without destroying the world in which we live. For more information, please visit: www.design.philips.com.